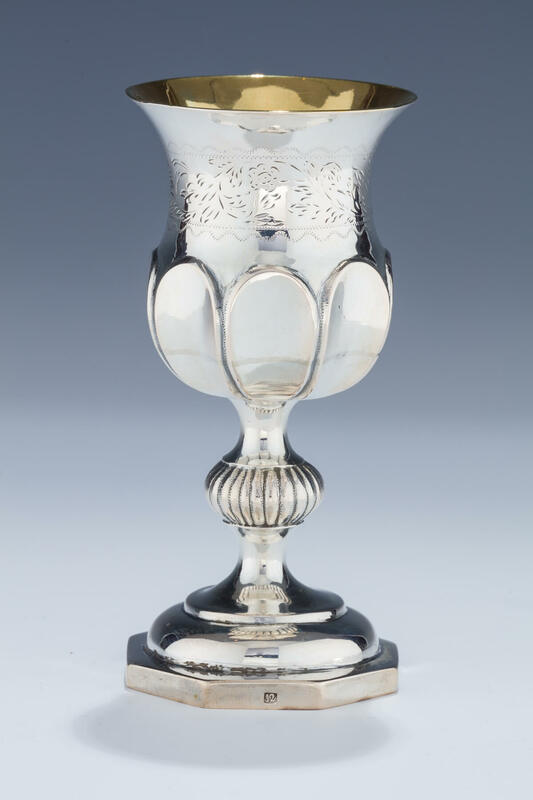 A LARGE SILVER KIDDUSH GOBLET. Poland, c. 1840. On octagonal base with knobbed stem. Upper portions with eight teardrop shaped chasings and engraved band. 5.4” tall.